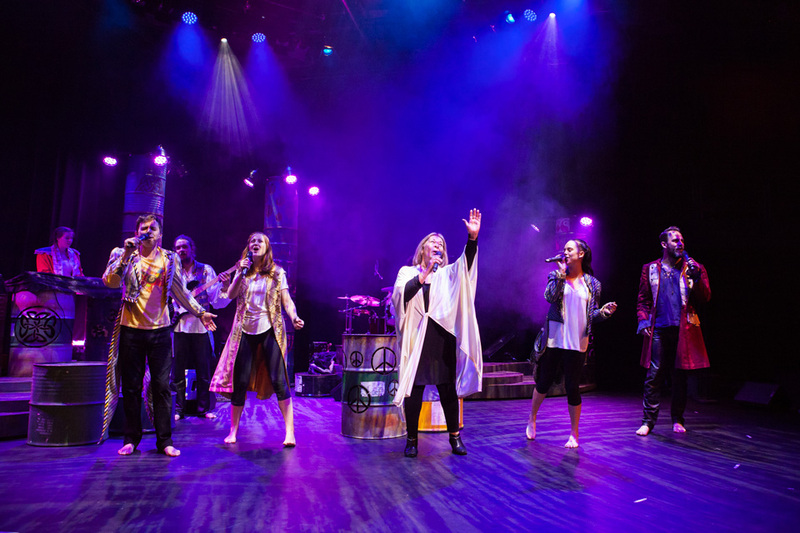 The quality of the original score does its best to shine through, but the wattage of this “reimagined” staging of Godspell is severely dimmed by condensed casting and muddy focus. 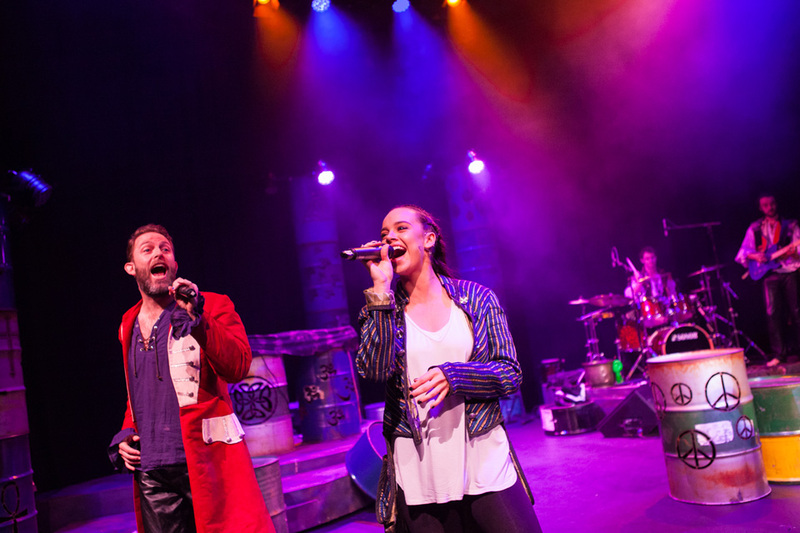 There is a long established expectation associated with seeing a musical at Arts Centre Melbourne. While it is admirable indeed for the institution to support smaller scale productions, there is a risk of damaging the brand if a low budget and a relatively inexperienced cast prevent a production from delivering what is expected. 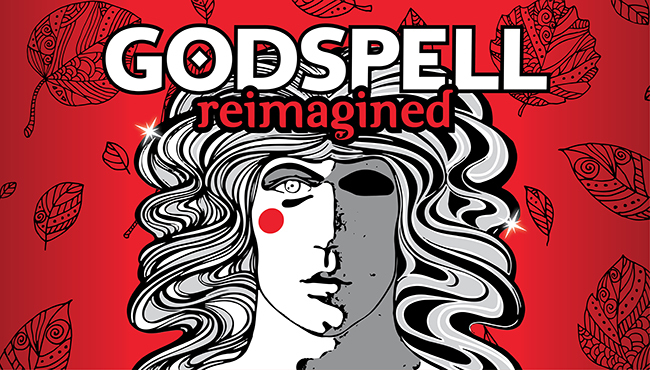 As a 1970s concept musical, Godspell is open to interpretation. Already a small show, the cast is reduced here to a mere four performers. The four musicians boost cast numbers by taking part in scenes when not playing their instruments, but these very talented young musicians are not actors, and the diminished cast size robs the show of its chemistry and synergy. The 2011 Broadway revival of Godspell delivered gorgeous new orchestrations and arrangements of the much-loved Stephen Schwartz score and enlivened the story telling with inventive creativity. Unfortunately, the band is not quite able to reproduce these new orchestrations, and there are not quite enough singers to do full justice to the new vocal arrangements. Gorgeous new song “Beautiful City,” heard in the excellent 2013 Magnormos one night concert of Godspell, is not included in this production. Varied storytelling devices, such as charades, are included in the revised script, and director Glenn Elston uses these without really adding further sparks of imagination. 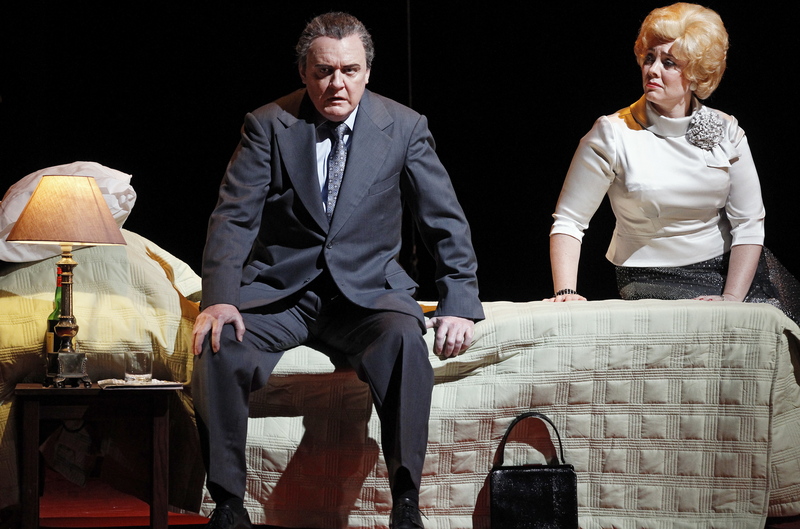 The improvisational feel is successfully created in act one, but there seems to be a disconnect with the source material and the messages of the show. 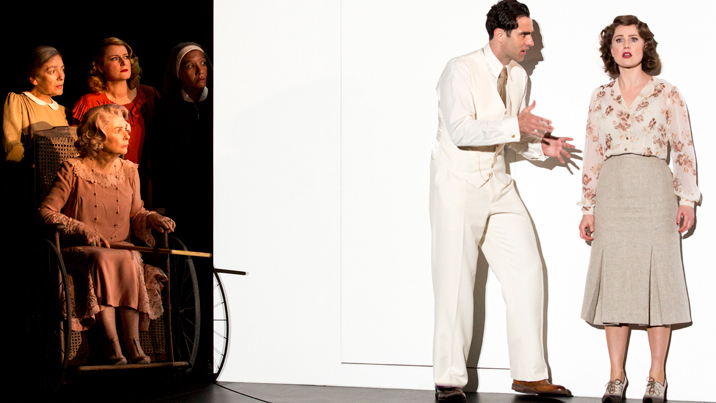 The lightweight, unfocused nature of the presentation of parables in act one impedes the transition to heavier drama in act two. This is compounded by the casting of a far more charismatic actor as Judas, meaning that the role of Jesus is completely overshadowed in act one. When Jesus comes to the fore in act two, neither the audience nor the cast has developed/displayed any attachment to him, squandering the potential impact of his tragic fate. The lack of cast members also gives Jesus no disciples to speak to, so his messages are addressed to the audience, making for an uncomfortably preachy feel. Elston has designed the production, giving it a grungy, back to basics feel that suits the 1970s rock style of the score. There are some colourful flourishes of costume and the stenciled metal drums give an attractive glow. Overall, the generic costuming and abstract scenic design make it difficult to determine the intention of time and place. More of a commitment to a specific identifiable concept may have galvanised the focus and drive of the piece. Highly experienced actor Mark Dickinson brings gravitas and confidence to his roles of John, Judas and ensemble member. Dickinson’s rich baritone is a pleasure to hear, and he contributes many of the funniest moments with his cheeky side comments. A full cast of music theatre performers of this calibre would have made for a very different outcome for the production. Christopher Southall showcased his impressive flair as a character actor to perfection earlier this year when StageArt presented Titanic. Unfortunately, Southall does not have the magnetic presence to play Jesus, and his efforts are further hampered by basically being part of the ensemble in act one. Hopefully Southall’s next stage outing will see him back in a role more closely aligned to his talents. Part of the beauty of a performance of Godspell is the opportunity for each member of an ensemble cast to have their moment in the spotlight. Having just four lead performers sing all the songs takes away some of the variety and interest. Young actors Bonnie Anderson and Louisa Fitzhardinge each have very good singing voices, with Anderson capable of modern pop belting and Fitzhardinge having a very sweet tone. 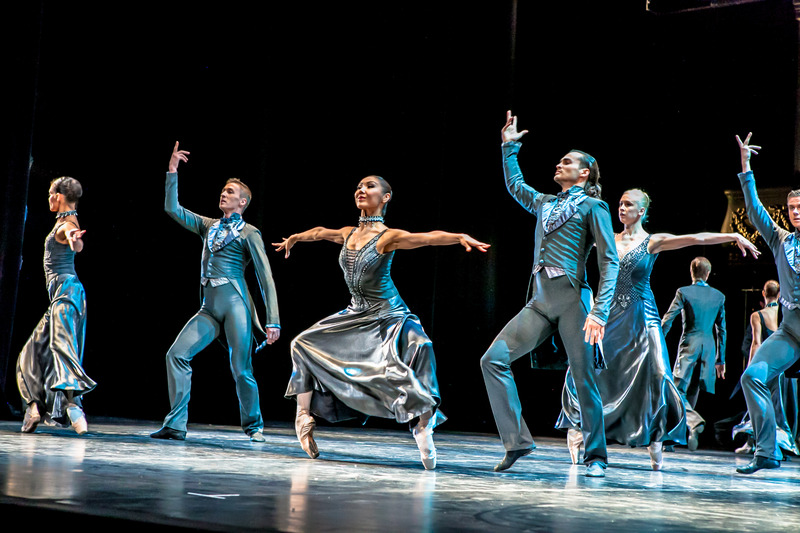 With a lack of direction, these performers have not had the chance to fully develop a sound understanding of the background and substance of the material, a problem that restricts the quality of the production overall. In a canny piece of stunt casting, the producers have enticed original Australian Godspell star Colleen Hewett to appear as a guest star in this season. The wait for Hewett to appear is a little distracting, but well worth it for the chance to hear her earthy, soulful tones. While Hewett’s appearance in the last couple of minutes of the show gives proceedings a much needed lift, it almost seems a little unfair that the efforts of the cast who have performed the entire show are gazumped Hewett’s star presence for the finale and curtain calls. Still, it is genuinely a thrill to see Hewett in action again as she revisits one of her all time career highlights.